I was approached by Andrew at Drew Neat to undertake a complete redesign of his existing main website, lawn care website and several microsites. The existing websites had been in place for a few years and were looking a little dated. 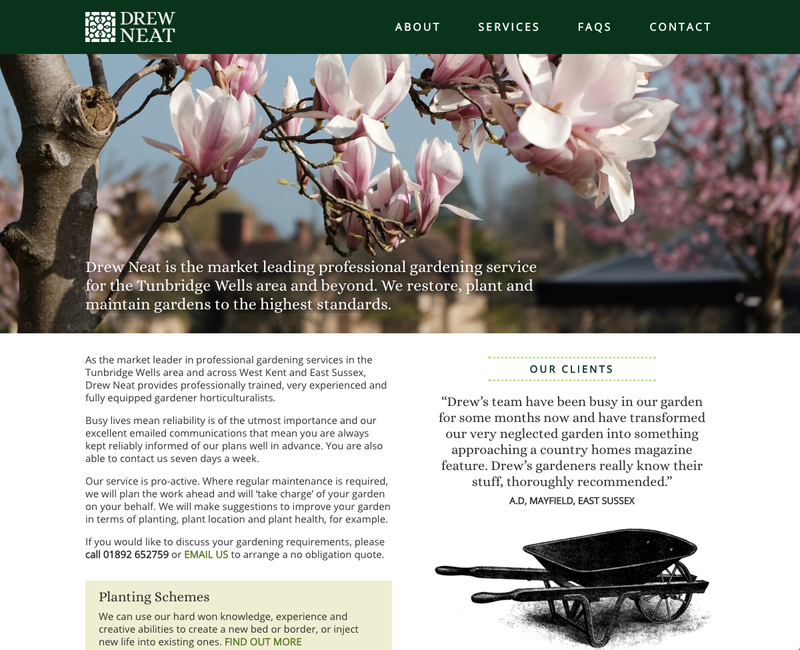 Andrew was looking for a clean and simple website, but with a touch of elegance that would reflect his business; which offers a high level of skill, reliability and attention to detail from its gardening staff. After being presented with several concepts for the logo, the design chosen was based on the theme of a traditional parterre or knot garden. A nod to traditional gardens on a grander scale and also to their dedicated upkeep by teams of skilled plantsmen. 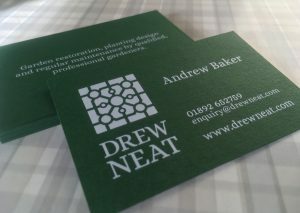 The business cards were digitally printed with white ink on high quality GF Smith Forest Green paper.